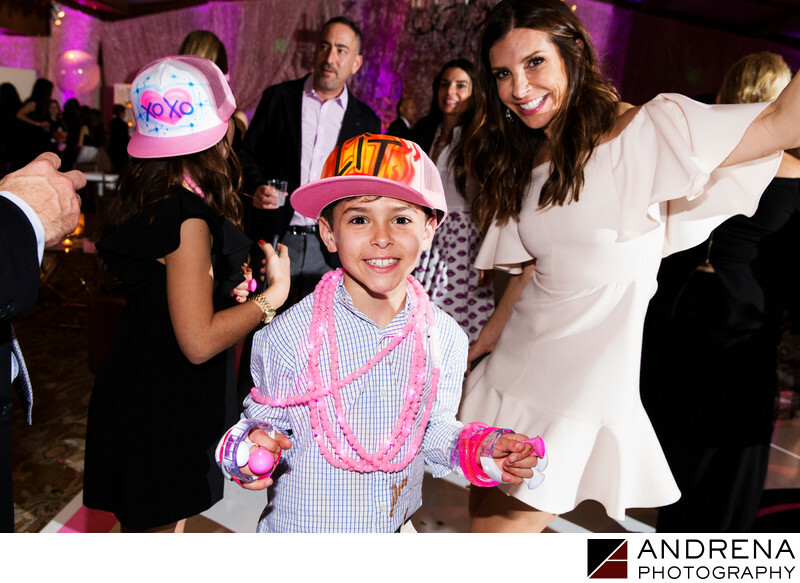 Kids attending a Bar or Bat Mitzvah party love the goodies that their hosts give out, and this kid seems particularly thrilled with his handfuls of swag, as our many photos of him document. His incredibly happy smile just goes to prove how much fun kids have with all the fun that Mitzvah parties offer. Check out the fun hand-painted hat, bracelets and necklaces coupled with that dance-floor grin.